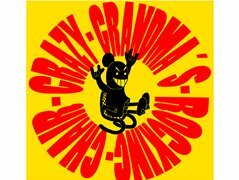 We´re the punk rock band Crazy Grandma´s Rocking Chair. We´re making our new music video, and asking people if they want to appear in it. You should record a video and send it to us, or a link to it so we can download it (try wetransfer). The question is: what do you have to do? You are free to do whatever you want, but if it has something to do with the lyrics of the song, it would be better. The camera can be a phone, a webcam, a laptop, a gopro, or wathever you have. Image quality isn´t the most important thing, it´s your performance. If you appear in our music video, your name will appear in the end credits. There´s no pay, just because we have never earned money with our music. Deadline to send your video is the 30th of April. You record yourself and send your video to us, so space and time depends on you. We should have your video before April ends. You can do whatever you want, but it would be better if it has something to do with the lyrics of the song.